That's Sixth and Olive, looking Northeast. 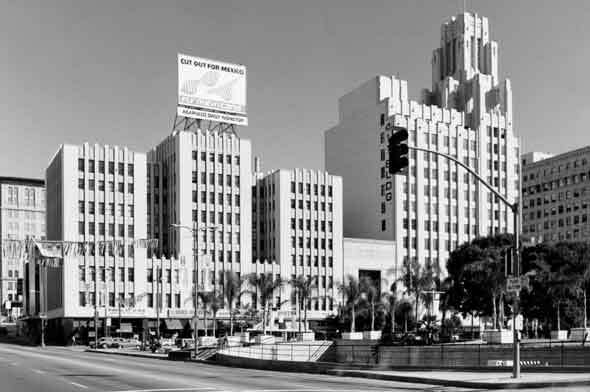 The old 1906 Philharmonic Auditorium in the bg, left (after its 1938 Streamline remodel by Stiles Clements, now a parking lot) and next to it to the right is the Parkinson 1931 Title Guarantee Building. That's why it's so dark at the right side of the image -- that's Pershing Square.